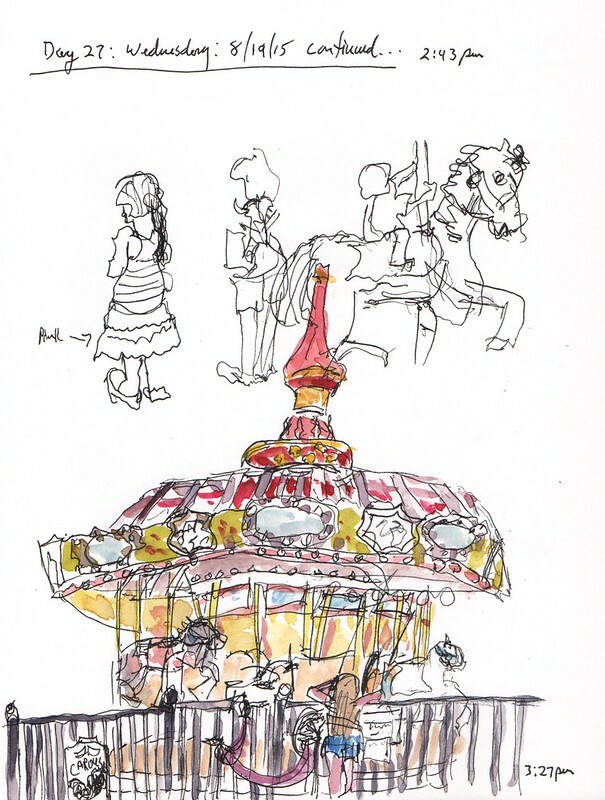 I recorded this soundscape eleven years ago at the Salem Riverfront Carousel in Salem, Oregon. At the time I was doing a podcast called the Zipboingwow Show and this recording was part of Show #4 (see the show notes for pictures and equipment details). I was experimenting with making binaural field recordings using my new invention – the stereo hat microphone. The mics are positioned on either side of the hat under the band. Be sure to listen to this one on headphones to hear the full effect as I walk through the space. Download – (MP3 file 3.2 MB, 160 kbps, 44.100 kHz, joint stereo). This entry was posted in Field Recordings on December 15, 2015 by Jim. ooh. Would have loved to see a picture of the stereo microphone hat! Follow the link to Show #4 to see pictures of the hat.